Storing Your Photos "in the cloud"
For fifteen years my expertise has been on organizing and safeguarding "old" photographs. And by "old" I am referring to pre-digital photographs. In Save Your Photos and Your Sanity, we teach you how to safeguard and organize the piles of physical photographs in as many as 10 days! With everything being digital photography now, you may not have AS big a pile because you are able to sort through your images and delete those that are less than perfect. However, some of you may have NO piles at all because you don't print them regularly….are you one of those people? I absolutely have been known to procrastinate on the actual printing. In fact, I will share with you something that happened this week. I was slowly and selectively transferring files from my old computer to my new computer. However, the other day when I logged into my old computer, my profile wouldn't load! YIKES! I took it to Staples where I was told I had a virus (even though I had current virus protection) I paid the $70 for them to do a data retrieval but was called a few days later with the news that the files were corrupt and that NO DATA WAS RETRIEVED! I have recently started experimenting with cloud storage but I hadn't uploaded everything unfortunately. However, if you want to consider long term "cloud" storage for digital photographs, then the options can seem overwhelming. You don't want them just on your computer because if your hard-drive should crash or your data becomes corrupt, they will be lost forever! You can burn them to CD's or DVD's, but even those may eventually become obsolete. I don't claim to be an expert in this area, however I have had my share of crashed hard drives over the years, my most recent has got me thinking. 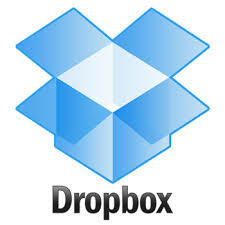 I have found some resources that should help you understand "cloud" storage better. Decide what will work best for you.